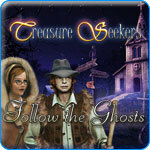 Treasure Seekers: Follow the Ghosts Game - Download and Play Free Version! Investigate a Stolen Ruby and Many Ghost Sightings with Tom and Nelly! Investigate a Mysterious Robbery and a Ghost Sighting! Is it just coincidence that a ghost appeared at the same time that a valuable ruby was stolen? It's up to Tom and Nelly to investigate and put more ghosts to rest! Travel to Germany, France, Siberia and more in the third installment in the series. Enjoy two game modes for great replay value: Casual mode and Advanced mode, which gives fewer hints and makes it more difficult to skip puzzles. 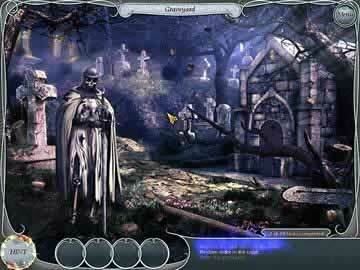 In this hidden object adventure game, search for clues and items to advance the story. For example, to talk to a ghost you must find his personal items. To find them, you'll search four scenes and solve puzzles like which wine barrel holds an item by solving a jigsaw puzzle. 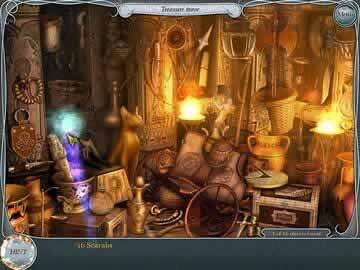 This game has a nice blend of longer and shorter hidden object challenges. Some scenes will have long lists of items to find but you'll also encounter items you need to fix or open by finding three or four items. Solve puzzles like decoding a message using number clues to place decoders, fixing a clock by placing gears correctly, arranging newspaper cutouts to form a suspect's face, matching puzzles and more. Enjoy Great Graphics and Addicting Gameplay! With such gorgeous, detailed graphics, this game will hook you right away. The fun blend of different types of hidden object scenes and puzzles will keep you hooked and you won't want to quit playing! With two game modes and tons of puzzles, you can enjoy countless hours of fun! Dive into a complex, addicting mystery now with Treasure Seekers: Follow the Ghosts!